In the administrative web portal, you can access settings and configuration tools to help you manage the system for end users. You can navigate the administrative web portal using the dashboard ribbon and the management console tabs. Log in the administrative web portal. SaaS partners can log in at https://syncedtool.com. Click the Organization button, which can be found in the top left of the web portal. The administrative interface, or central dashboard, displays. Use the ribbon of the dashboard to access your files, see the account that is logged in, download apps, or log out of the system. Use the buttons at the top of the management console to access different views. 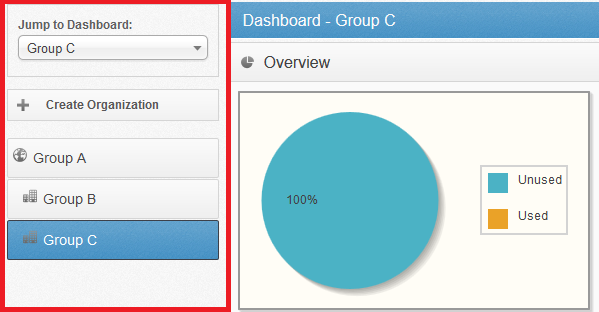 Use the left portion of the console to create a new organization or view individual organizations. Alternatively, use the search bar to easily find an organization. You will see specific information for the organization you have selected. 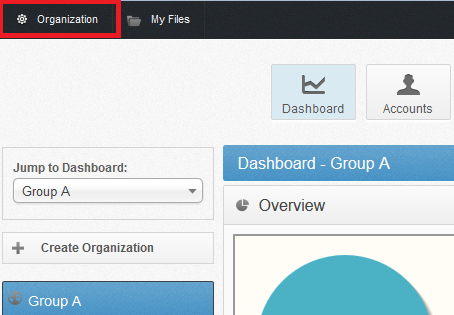 Click the Dashboard tab to view information based on the organization you have selected. If you click on your parent organization it will give combined details for each suborganization. The widgets will give information such as, how many accounts, how many admins, how many machines, how much storage is used, bandwidth over time, top storage users, recent activity, recent alerts, etc. 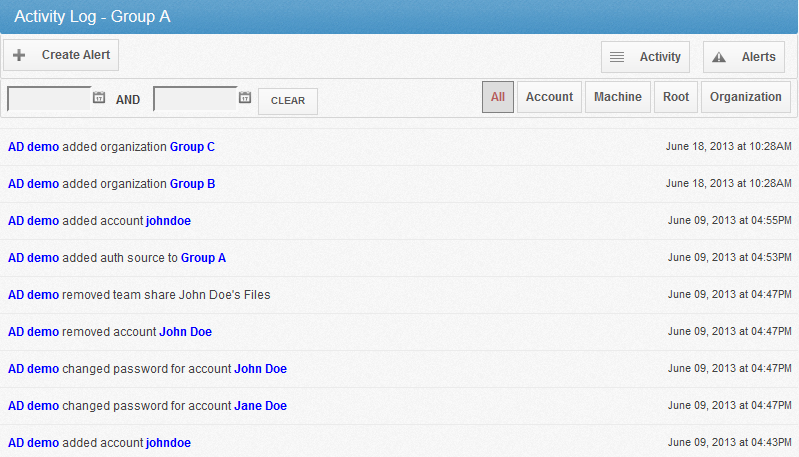 Click the Accounts tab to view each user within the system. Optionally, click a drop down arrow next to a user's name to view the devices associated with the user. While still in the Accounts tab, you can create new accounts, send messages, sort by All users or Admins, and search for a specific user. While still in the Accounts tab, you can remotely wipe users data if necessary. To remotely wipe all devices, click the X next to user's name. You can also remotely wipe individual devices by clicking the Unlink button next to the device. Click the Machines tab to see all devices registered to that organization. File Server Enablement is also used under the machines view. To learn more about FSE find our tutorial in the Instruction Videos option on our community page. While still in the Machines tab, you can click the drop down arrow on the left a machine to see the users associated with that device. You can also click the Get Logs button to view logs for the selected machine, or click the Unlink button to remotely wipe the machine. Click the Shares tab to view a list of every Team Share you have created. You can also create new Team Shares, view, add, and remove subscribers. To learn more on Team Shares, find our tutorial on the community under Instructional Videos. Click the Backups tab to create backups for files and folders. In the Backups tab you can back up any folder for devices that have desktop clients. 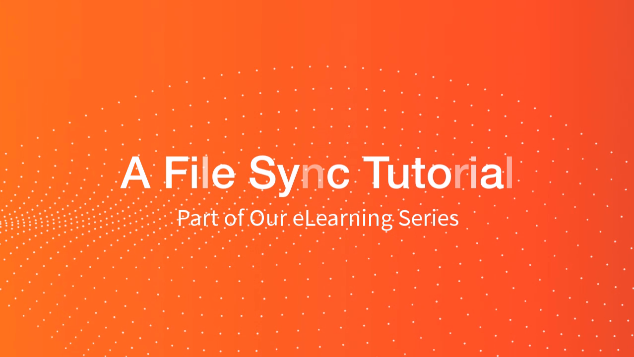 Find our tutorial on Backups to learn more. Click the Activity tab to view all activity that occurs in the system. In the Activity tab, you can see when someone makes a change. You have the option to view activity by All, Account, Machine, Root, or Organization. You can also create alerts from the activity log. For example, you can create an alert when 80% of storage quota has been used. Click the Reports tab to generate reports based on the information found on the dashboard. These reports can be sent to anyone with a listed email address. The reports can be scheduled to be sent out automatically every, day, week, month, or year. Click the Settings tab. 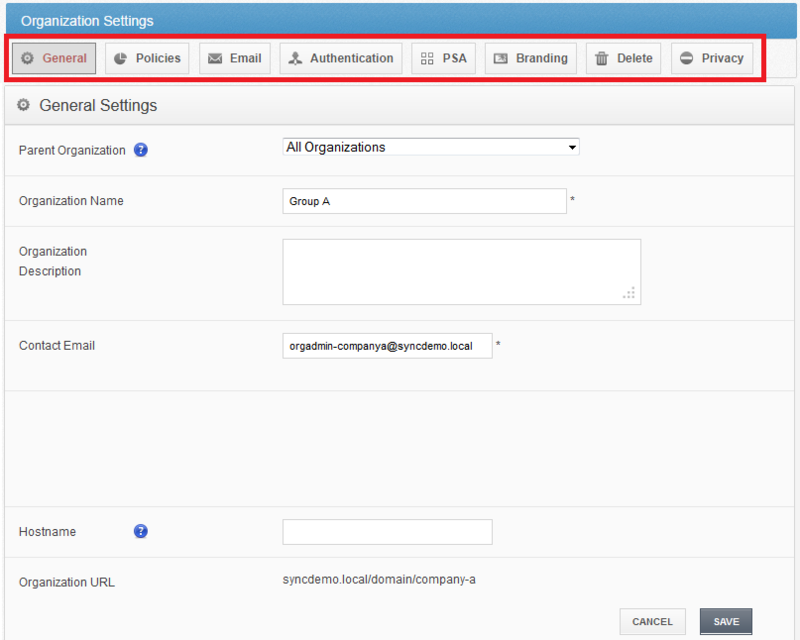 In the Settings tab, you can change policies associated with an organization, set up an email server, create email templates, configure PSA integration settings, and configure branding. Additionally, you can turn on Privacy Mode for an organization an its suborganizations.